These weren’t much in use at the time of Daughters and Sons of Alba. But plenty of them remained from older times, most of them in ruins. 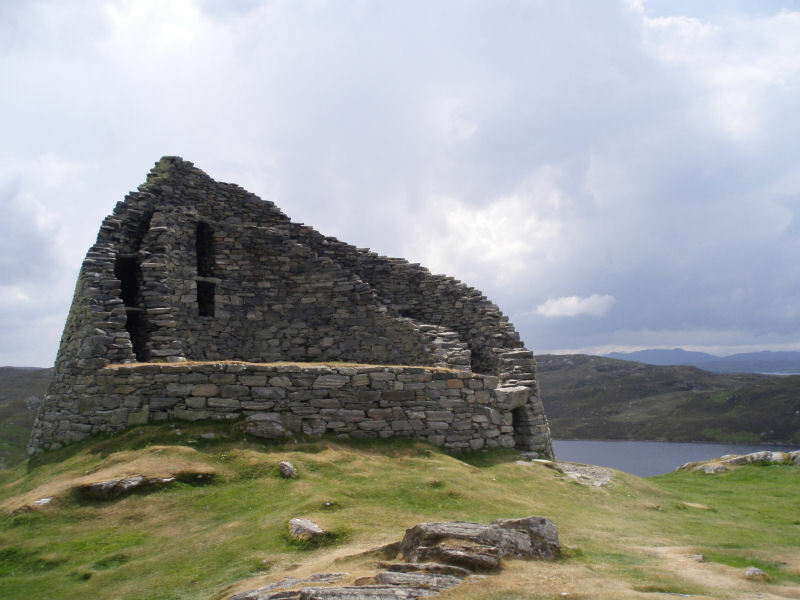 I put a ruined broch in Dun na Cloich Leith: Aigneis, Ealasaid, and Eithne’s home. Like many of these circular towers, this one was likely plundered for its building stone over time. 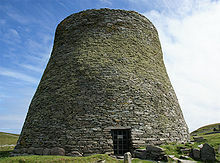 Brochs were made by the ancient Picts for defence and consisted of a double wall of unmortared stone. 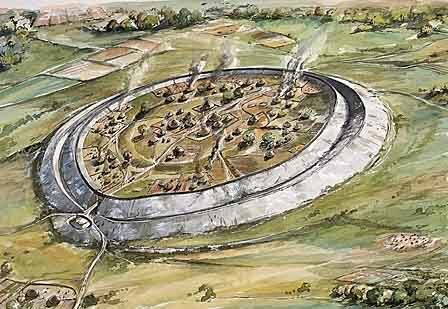 The average Alban lived in a dun – a hill fort with an earth wall, populated with round, thatch-roofed stone houses. Although the duns are gone, the marks of their presence remain, ringing hilltops across Scotland. 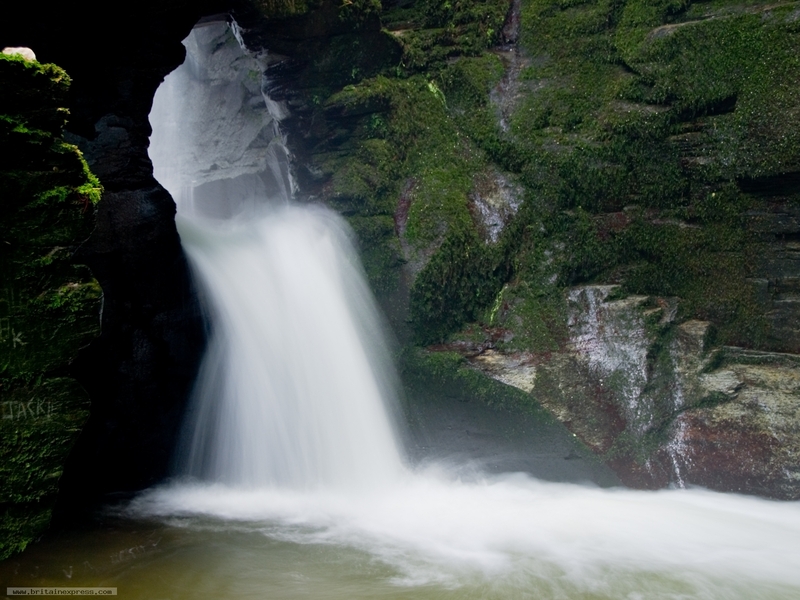 Here’s one like Dun na Cloich Leith. With the influence of the nearby Saxon and Norman cultures, castles were a new thing in Alba, but not unheard of. Castles of this time were very simple – not the pretty, airy things that came along later. As with duns, there are virtually no untouched examples of castles in Scotland from this time. They are all either ruined or replaced. This is somewhat how I imagine castles like Allt na Cathrach or Sgain. 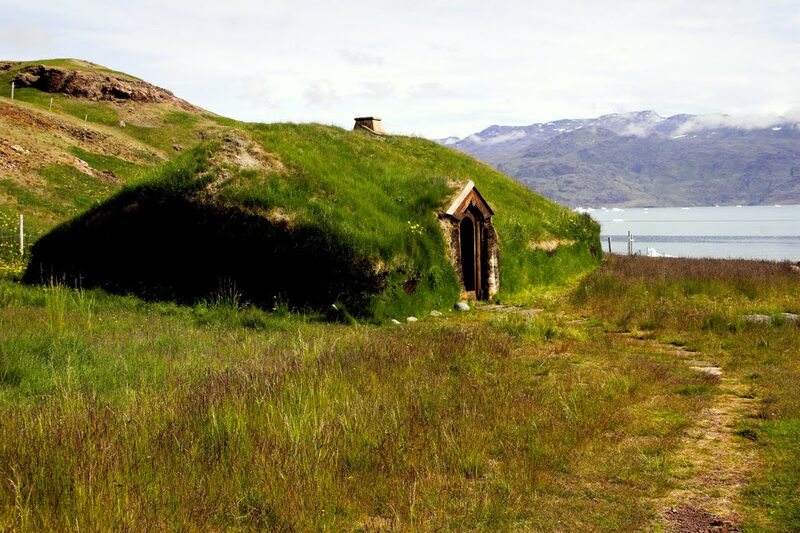 The Vikings brought with them a different style of building – long, low rectangular houses with an A-frame roof covered in thatch or sod. Here’s how I pictured the houses in Thorsbjorg. Ecclesiastical architecture is another unique class. 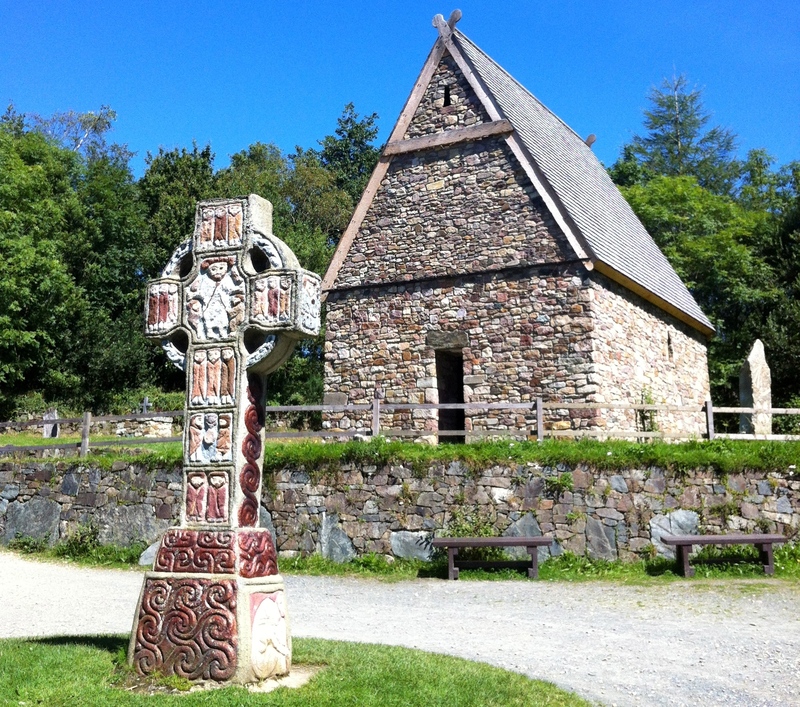 Borrowing from earlier Roman influence, the monasteries of the Irish Gaels had rectangular common buildings such as churches and libraries, narrow round watch towers, and little beehive-shaped huts for the monks’ cells. Here’s a monastery much like Cill Linnhe. 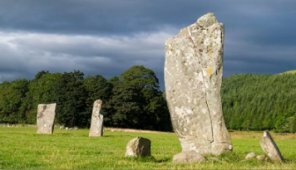 The Celts from ancient times had an affinity for the spiritual, and loved to mark these places in various ways: Standing stones, springs, and cairns can still be seen everywhere in Scotland. 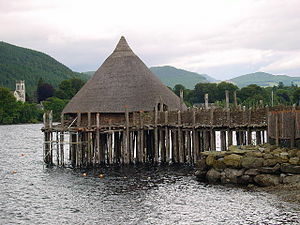 Though none of my characters live in a crannog, this distinctly Celtic building form bears some mention. These were floating villages built on wooden pilings out on a loch, much like the round houses of the dun, but built of timber or wattle and daub instead. Erin, thanks for the pictorial! The images do help! 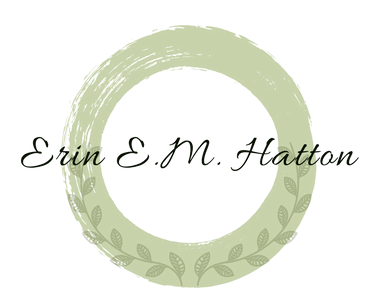 Really enjoyed the photos and the history that went along with each one, Erin. Thanks so much for sharing them! I love these old buildings, in fact anything from the past interests me. What a great idea to show the buildings that relate to your book.